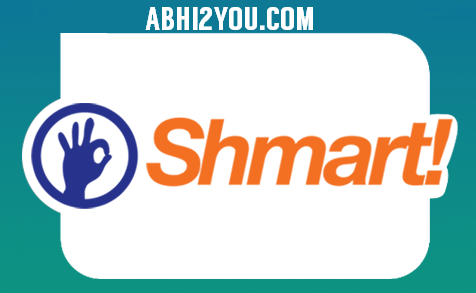 Shmart – A wallet service started by RBL Bank becoming popular day by day because of their super offers – Enjoy Wallet services just like Paytm,Mobikwik. RBL Bank – Same bank which owns payumoney and recently came across with BookmyShow. Offering Flat Rs.20 Cashback on Rs.100 Recharge and Rs.50 on Rs.200 Recharge Mobile (Prepaid Only). Exclusive Prepaid Masti Offer by Shmart Wallet! P.S. This Offer shall be valid from September 21, 2015 13:00:00 hrs to September 27, 2015 23:59:59 hrs only. So Hurry! Extended till 27th September 2015! Rs.20 Cashback on Rs.100 Prepaid Recharge. 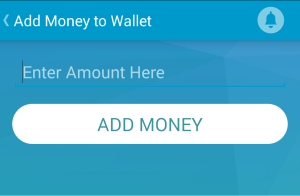 Now click on “My Cash” option and add some amount in it using any mode of payment preferred such as CC/DC. P.S. You need to add amount to shmart wallet – Don’t do recharge directly if you want Rs.20 / Rs.50 Cashback. Once Money is added you are ready to make recharges from that amount. Recharge your prepaid mobile number through this wallet balance. Your Wallet will be credited with the cashback within 3 Days. Read the T&C Below Very Carefully!! The below mentioned Terms and Conditions are applicable for the #PrepaidMasti” campaign which would be referred to as ‘Offer’ or ‘Campaign’ hereinafter in this document. This offer is divided into two parts, basis recharge amount. The cashback amount of Rs.20 (Rupees Twenty) shall be provided for every successful prepaid recharge transaction between Rs.100 (Rupees Hundred) and Rs.199 (Rupees One Hundred Ninety Nine). Any successful transaction below Rs.100 (Rupees Hundred) will not be eligible for the cashback offer. The cashback amount of Rs.50 (Rupees Fifty) shall be provided for every successful prepaid recharge transaction of Rs.200 (Rupees Two Hundred) and above. Any successful transaction below Rs.200 (Rupees Two Hundred) and above Rs.100 would fall under point no 4 of the T&C. The cashback shall not be made instantaneously and would be credited only within 72 (seventy two) working hours of the completion of the successful transaction. This Offer shall be valid from September 21, 2015 13:00:00 hrs to September 23, 2015 23:59:59 hrs. TranServ Private Limited (“TranServ”) reserves the right to change the offer-period and terms of offer without any prior notice. The Offer will be applicable for a Customer holding a valid and active Shmart! Wallet account. It is non- negotiable and non-transferrable and is valid for Indian residents and citizens only. A Shmart! 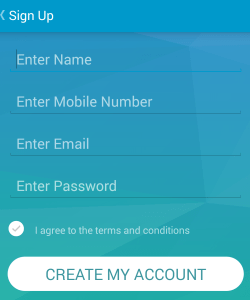 Wallet user can do a maximum of 5 recharge/bill pay transactions per day on the app. In the event the Customer has reached a wallet loading limit of INR 10,000 (Rupees Ten Thousand) in any particular calendar month, then the Cashback amount will be added in the subsequent calendar month. TranServ shall not be responsible for, or liable for, any actions, claims, demands, losses, damage, costs.